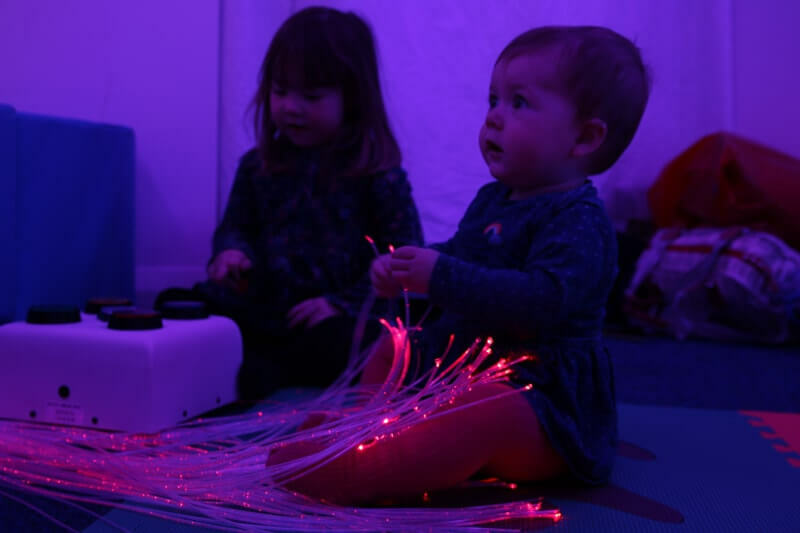 There are many benefits to using fibre optic lights in a sensory room. 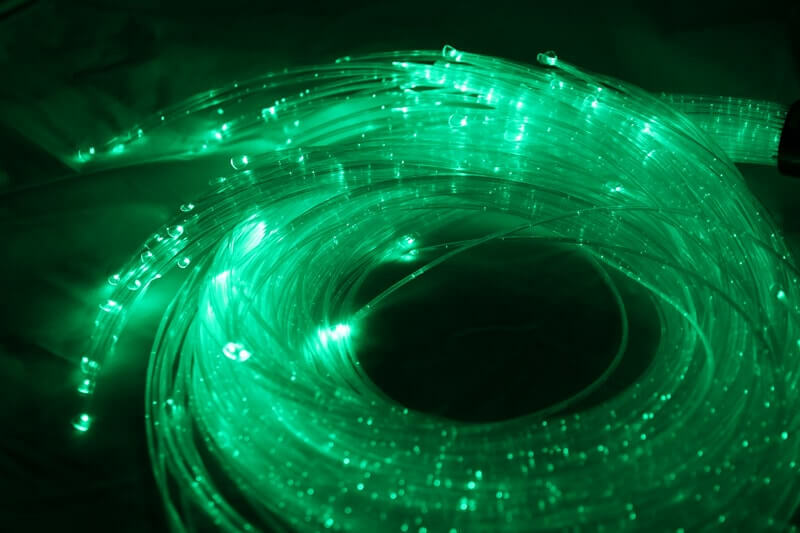 This post is intended to outline what exactly fibre optic lights are, what the benefits are and how they can be used in sensory room or environment. 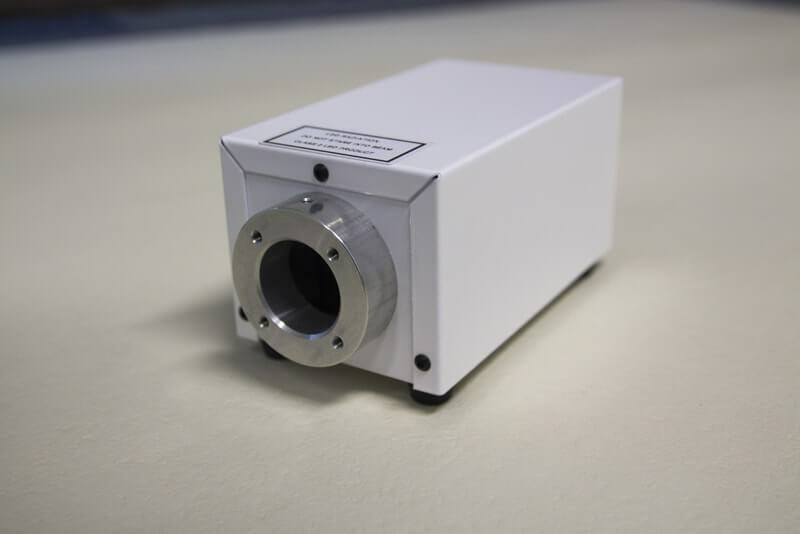 Fibre optic lights use LED’s in small lightweight housing (see picture below) to shine light through thin plastic tubes. These tubes or fibre strands are made up of plastic fibres that carry the light right the way through the strand. The LED lights can cycle through the colour spectrum emitting reds, greens, blues etc. for the user to interact in a tactile way. Fibre Optic Lights can come in different forms. For example, Apollo Creative have two different versions one of which is the ceiling mounted fibre optic chandelier and the other, more portable version, fibre optic lights. These versions, in theory, are built the same apart from the tweaks needed for the ceiling mounted version. With a ceiling, mounted version, you get the added benefit of the strands cascading down from a high point in your room, this is perfect if you are looking to utilise space better. Feel the different strands of the fibre optics, either bunched up or individually. Users can hold and drape the strands around themselves, the touching sense may work better in different places for users. Make sure you try the arms, back and hands to get an idea of what is enjoyed by the user. The user can feel each strand individually, this could prove to be a much more calming experience as sensory overload may occur when too many strands are presented. 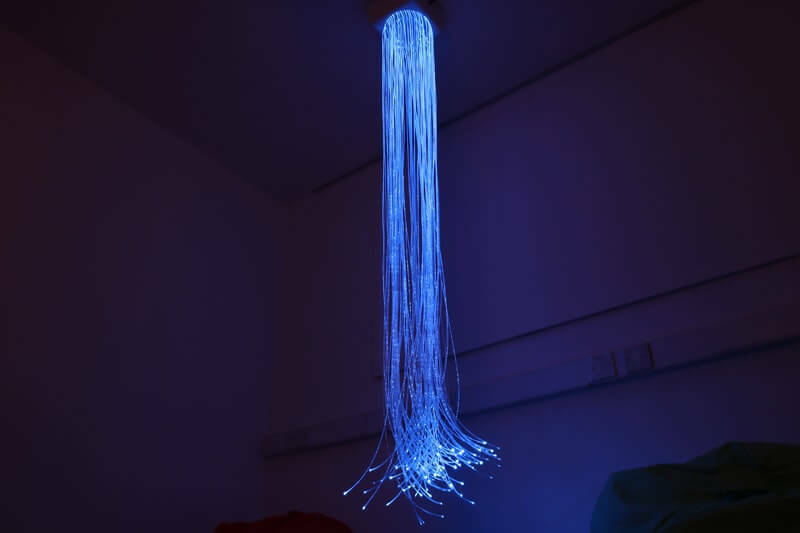 Using a cascading fibre optic chandelier, the user has the benefit of immersing themselves under the strands by laying on soft-play or a bean bag. Rustling the strands together creates a unique noise. Lightly stroking the strands over the user’s clothes will amplify rustling sound noises. The different colours of the lights can stimulate the senses. The user can call out colours and match them to other objects or equipment in the room. Remember using one strand can be just as effective in stimulating the seeing sense. Depending on the user, a bunch of strands together may produce a sensory overload. The strands can be separated or ‘fanned’ out on the floor. This encourages the user to create different shapes and swirls, the fibre optic lights are robust enough to handle heavy pulling and grabbing. Fibre optic lights are silent, compact and stimulate different senses making them a must have in your sensory room. When creating your sensory room or environment it’s important to consider what equipment you require as space can usually prove to be an issue. Utilising every inch of your room is key to achieving the best possible experience for children and adults alike. With fibre optic lights they can be easily tucked away to one side or built into soft play. The user can then use them whilst playing on soft play or if they have a specific corner they enjoy being in. It’s worth considering battery powered options for fibre optic lights as this adds the benefit of being versatile in movement. With battery powered versions you can choose exactly where to place your fibre optic lights to get the best use out of them. Using fibre optic lights in cause and effect learning is very beneficial to a user’s learning and understanding. Using switch and sensor-based controls (such as a switch box controller or dice controller) the user can change the lights of the fibre optics that correspond to the switches. For example, pressing the red button turns the strands to red, pressing the blue turns them to blue and so on. A good exercise to try is how can the user identify feelings through colours, get them to translate hot or cold colours, then see how many different colours they can find around the room associated with hot or cold. Using switch access controls they can control exactly which colour they need. 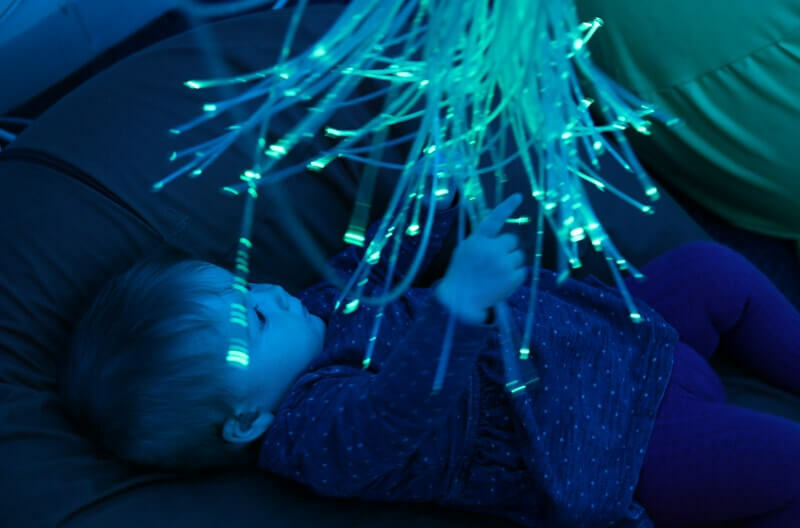 We hope that you found this post useful and that it has got you thinking of ways you could use fibre optic lights in your sensory room. If you wish to discuss possible uses for your environment, then please feel free to get in touch via our contact methods.